Wow, blast from the past. I really loved those maps and collected as many as I could when I was young (and older too). 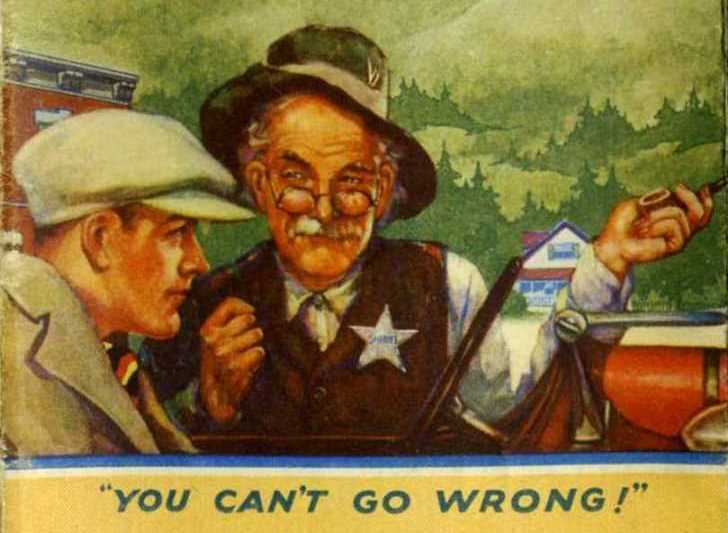 The oil companies were presented as so caring and kind in those days – just helpin’ everyone out ya know. Sigh, they were simpler if not as truthful, days. It looked like a Norman Rockwell painting ya know. Nowadays Big Oil is seen as relentless and irresponsible. I can’t fathom the kind and caring part. 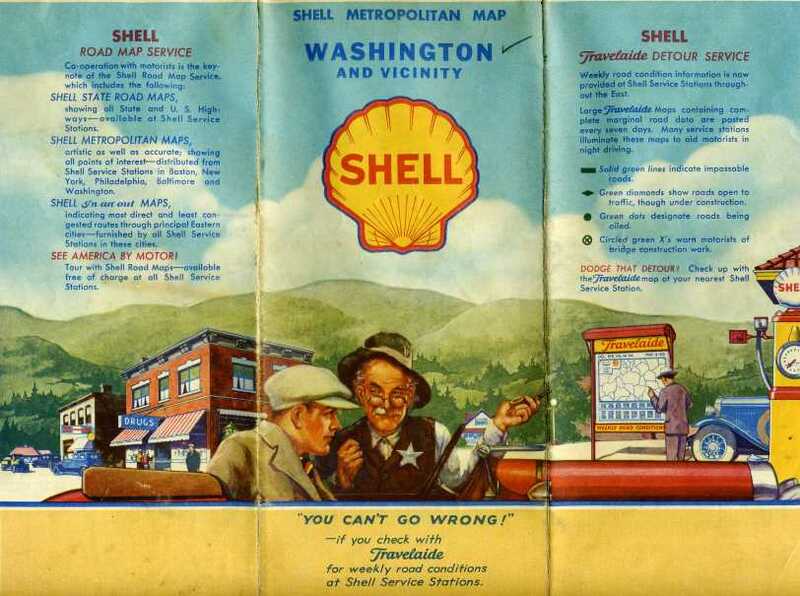 I recall the ld Texaco tag line, “Trust your ar to the man who wears the star.” But I can’t recall how Shell used to market its products and services in the “old days.” Probably free glasses and green stamps with every fill-up. Pardon the typos…I had just spilled an adult beverage on my keyboard. The keyboard funeral is over and the bad unit swapped out. What kind of (extremely impressive) pooch drinks adult beverages?!? I thought “You can trust your car to the man that wears the star!” was a catchphrase of Virgil Runnels Jr. aka Dusty Rhodes. I learn something new every day! Aha–he DID say it, just not first! Wow, it was a different time! I remember those old maps but don’t remember them being so darn fancy! Back then you had something tangible. Something you could use to plot your journey. Now we get disembodied voices telling us to turn right in 1.3 miles. That’s an improvement? I can’t tell you how many times that voice has given us wrong directions, including earlier this month, trying to find the rental cars at OKC airport. She about led us into a corn field. Loved the old map. We had our GPS lead us to someone’s front yard in suburban Minneapolis instead of the Minneapolis airport on the other side of town. Fun times, fun weather, fun directions . . .(I hereby apologize to the word fun for using it in such a horrible manner). Ugh! I have no patience for that.